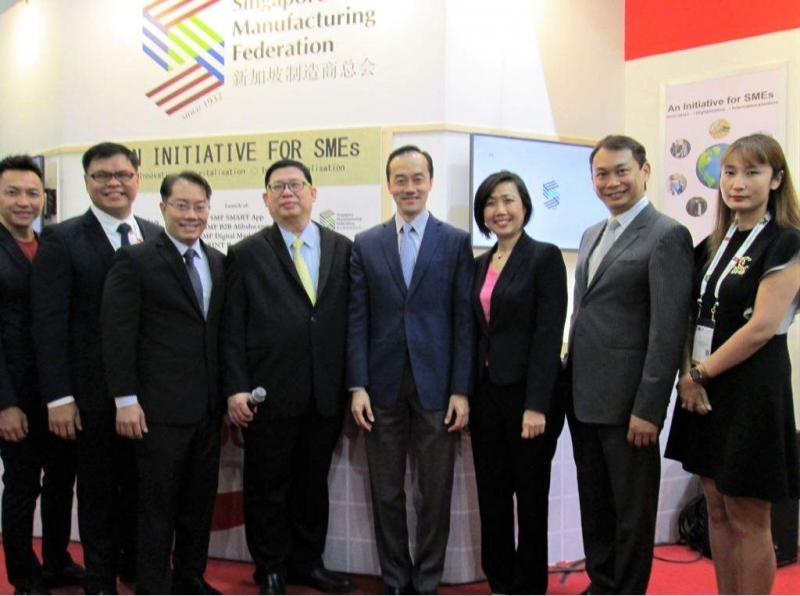 Singapore, 27 April 2018 – i-Sprint Innovations have been working closely with Singapore Manufacturing Federation (SMF) to set up the SMF SMART (Singapore Manufacturers’ Authentication Readiness Technology) for the Singapore manufacturing companies. On 24 April 2018, SMF officially launched the SMF SMART (also know as SMF i-Sprint Product Authentication) at the Food Hotel Asia 2018 in Singapore. The launch was graced by Singapore Senior Minister of State, Ministry of Trade and Industry, and Ministry of National Development Dr. Koh Poh Koon. The SMF SMART is part of the New Initiatives for SMEs conceptualized by Enterprise Singapore and SMF. The initiatives comprised SMF SMART App (now available on Apple Store and Google Playstore), SMF B2B Alibaba.com, SMF Digital Market Place and SMF i-Sprint Product Authentication.